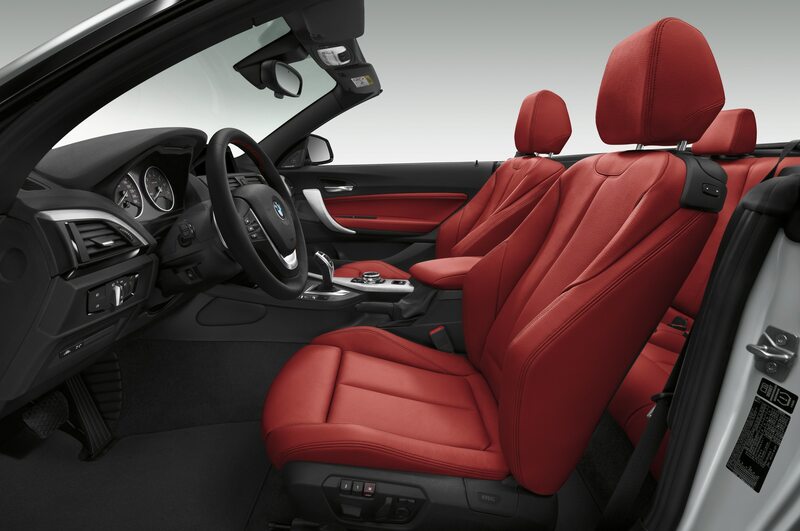 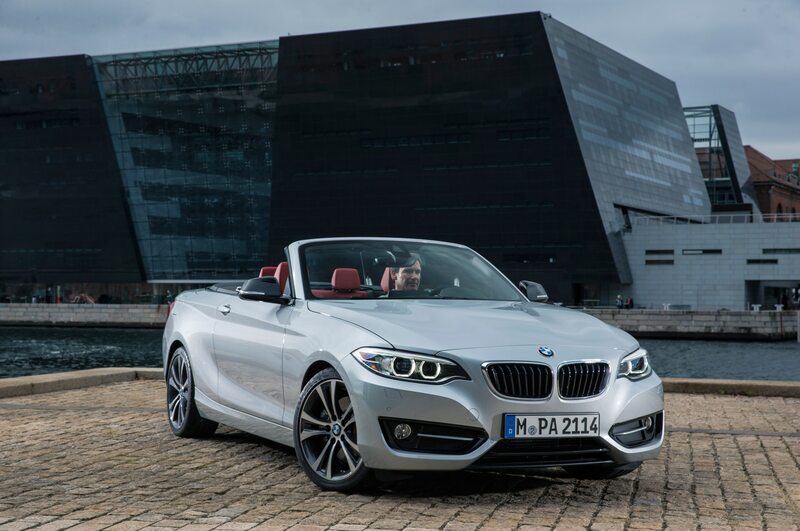 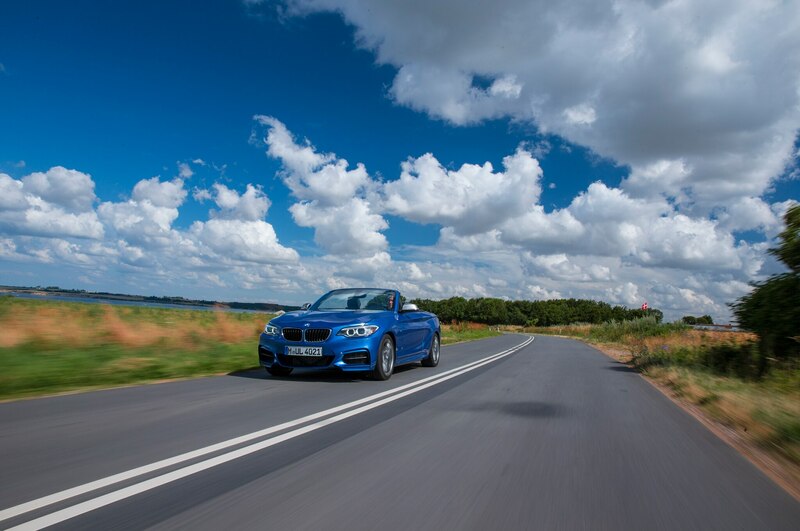 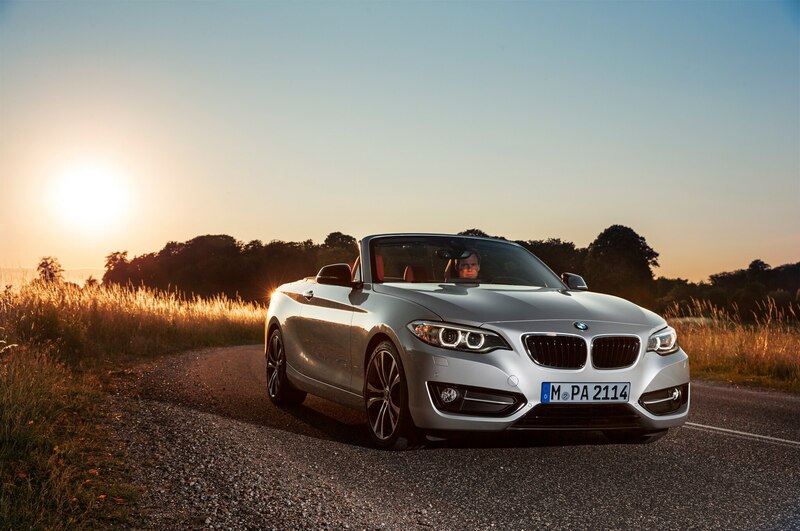 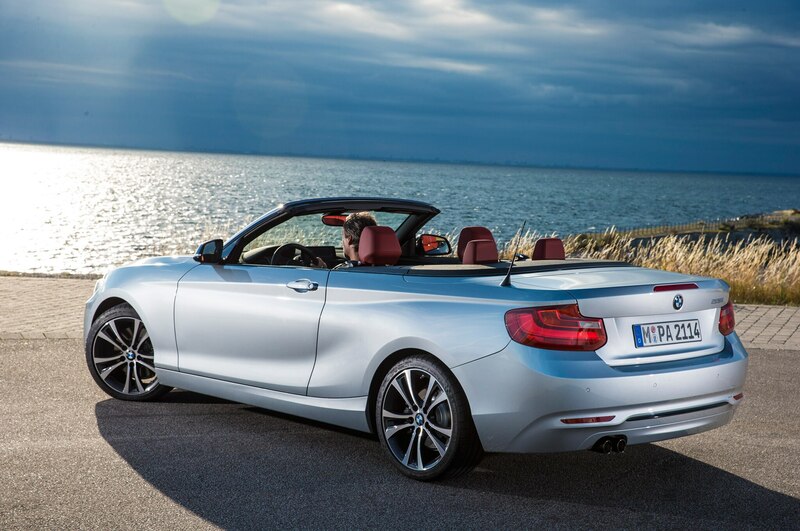 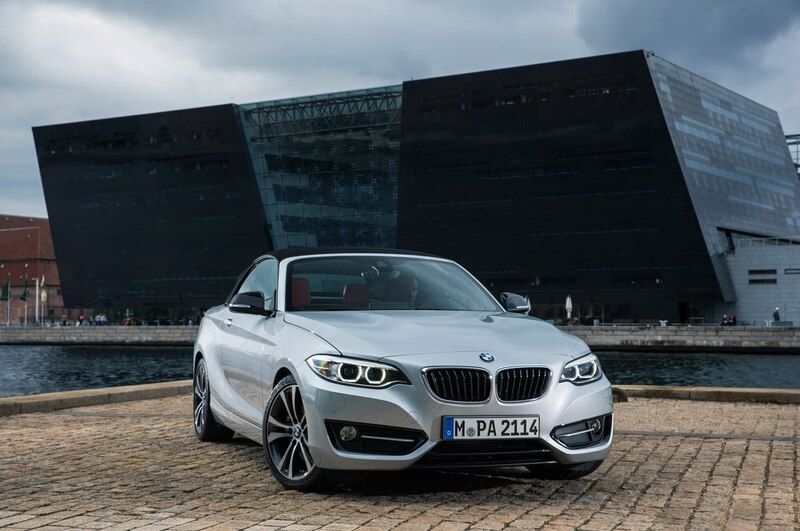 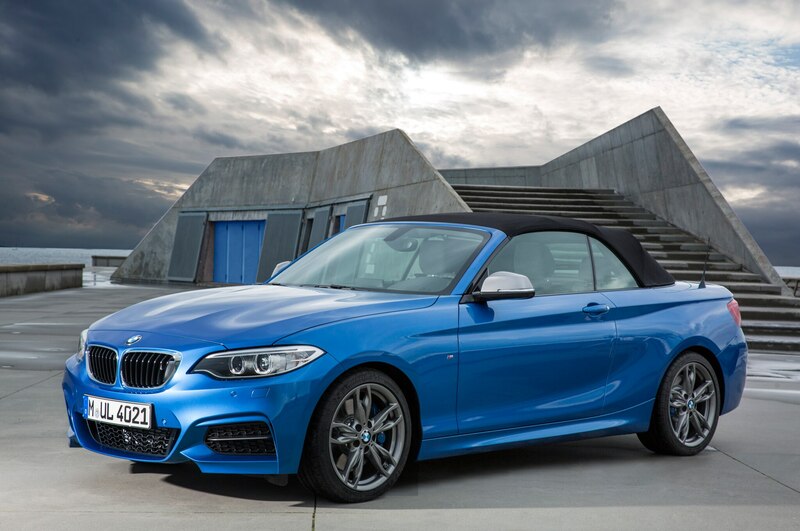 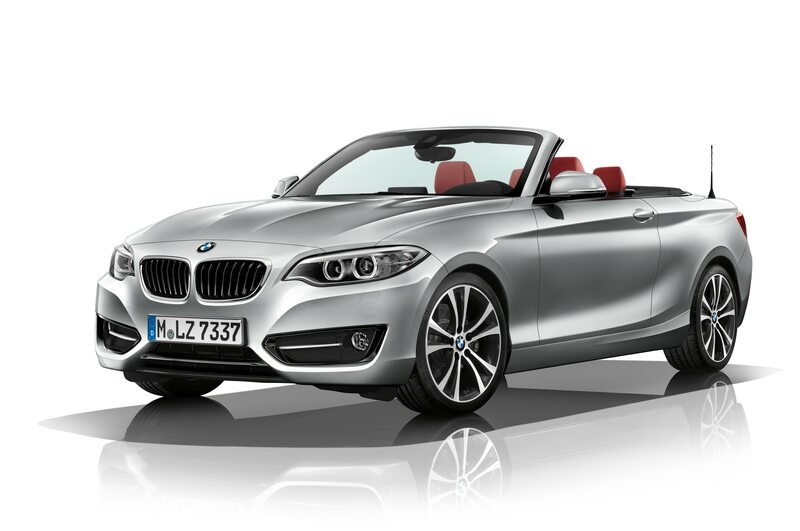 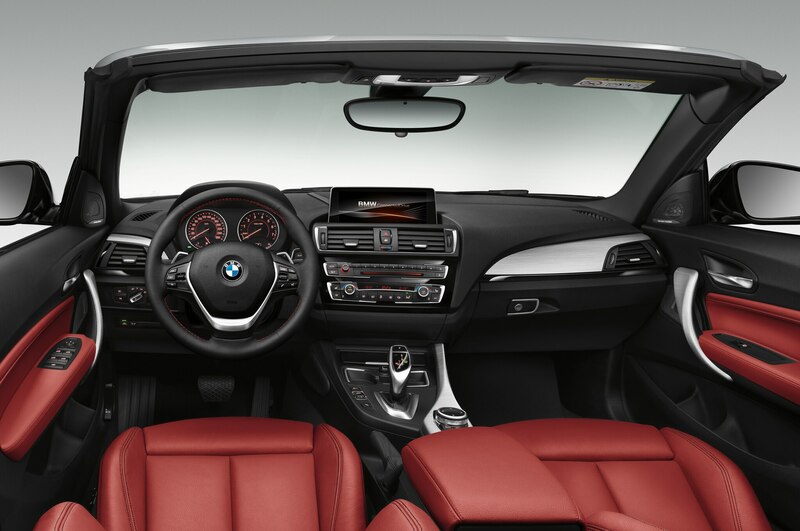 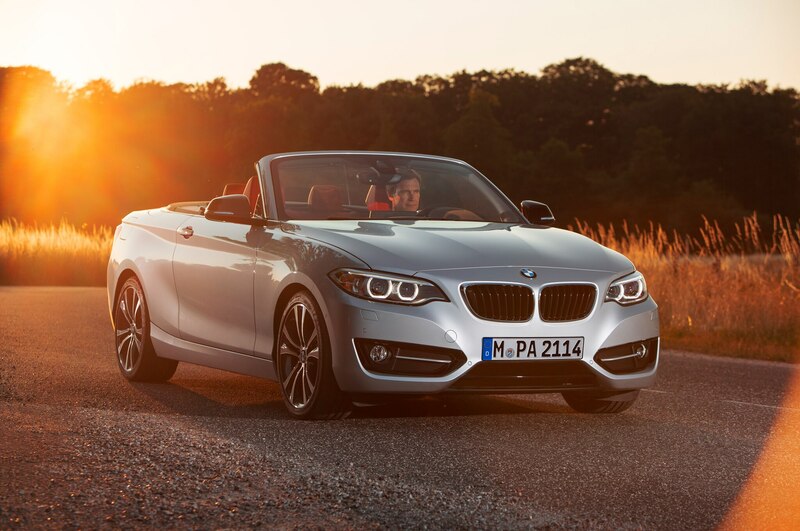 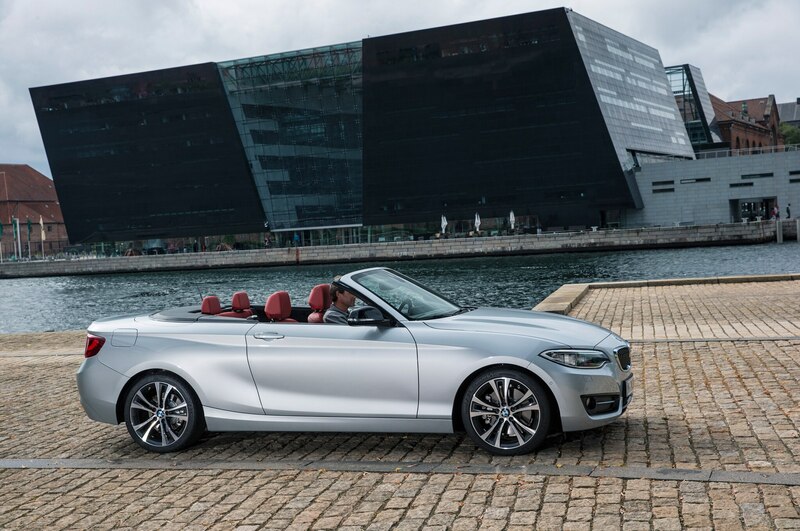 The BMW 2 Series coupe is heralded by many enthusiasts as today’s purest expression of the “Ultimate Driving Experience” spirit, but BMW is attempting to expand its smallest model’s appeal with the new 2015 BMW 2 Series convertible. This droptop model will officially debut at the 2014 Paris auto show in a few weeks, and is set to go on sale in the U.S. in early 2015. 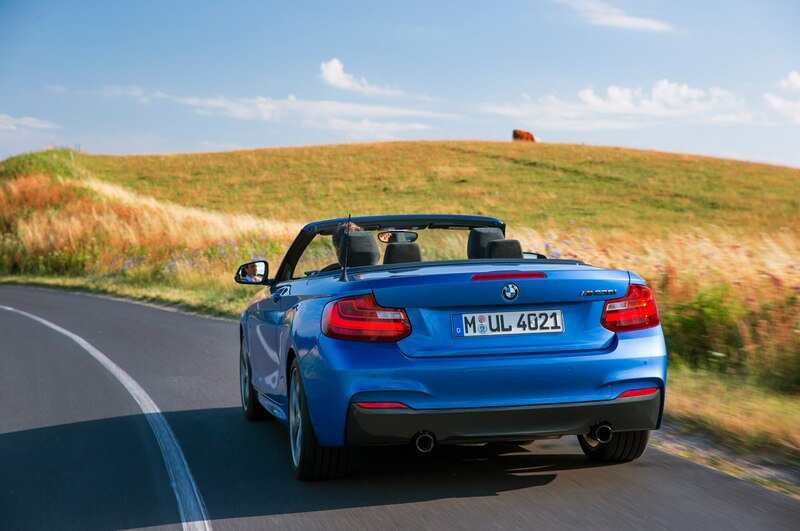 As you’d expect, the droptop 2 Series looks almost identical to the coupe on which it’s based, but without a roof. 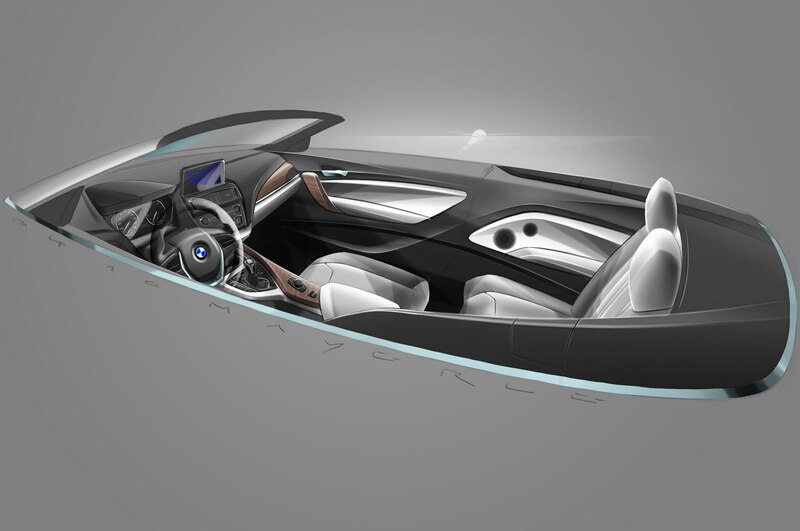 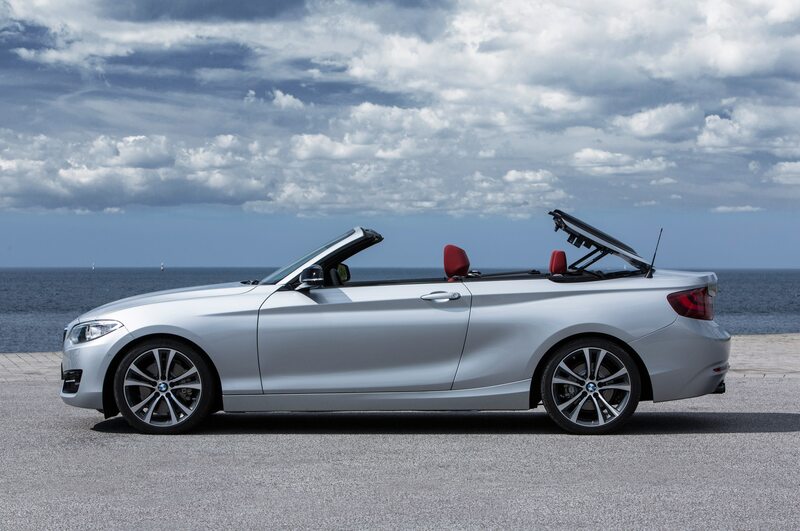 The four-seat convertible comes standard with a power-operated top, and should weigh a few hundred pounds more than its hardtop equivalent, though BMW has not yet revealed official numbers for the convertible. 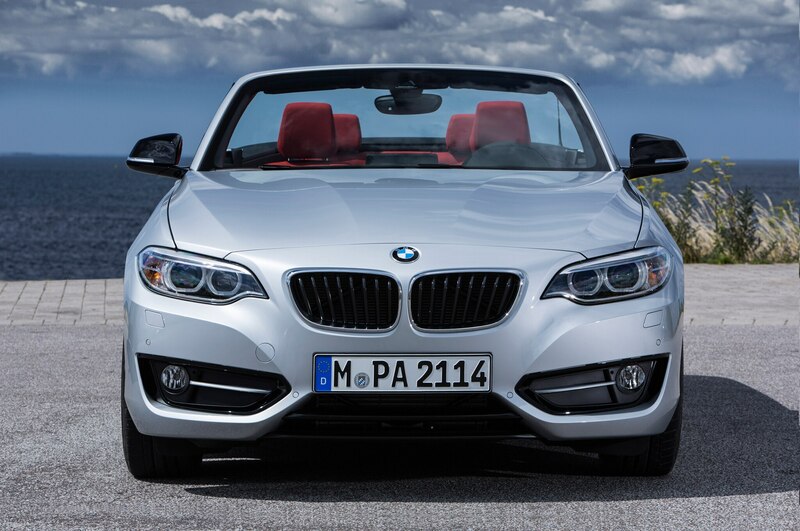 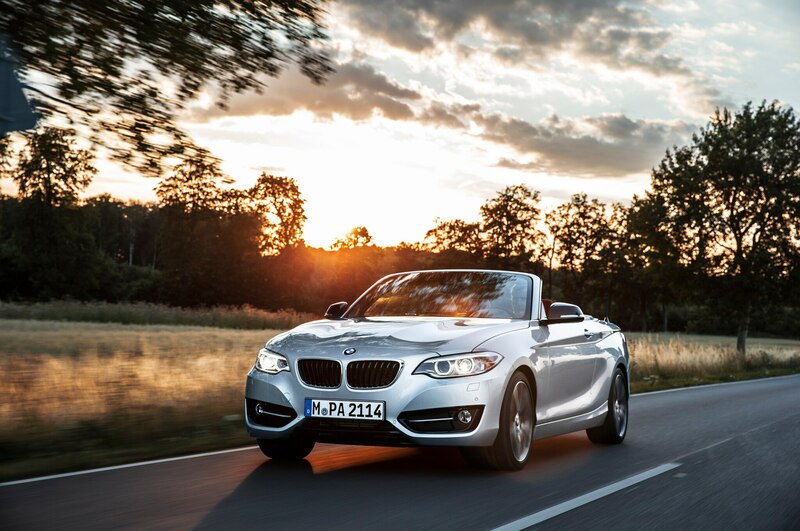 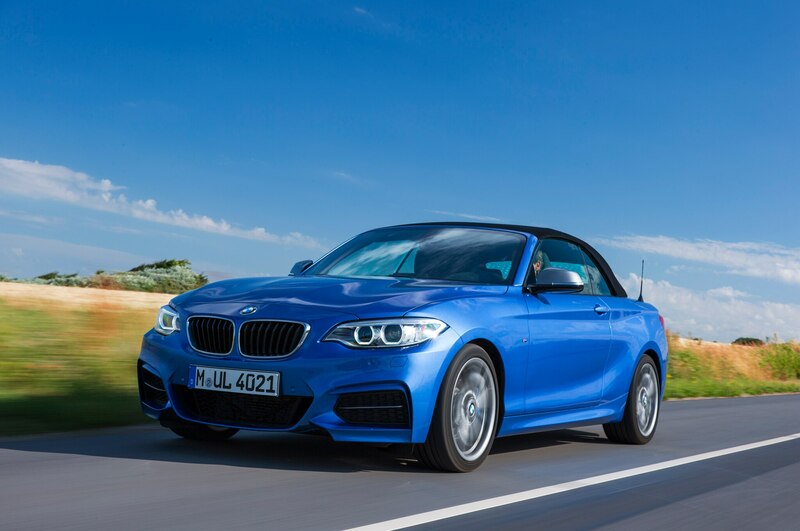 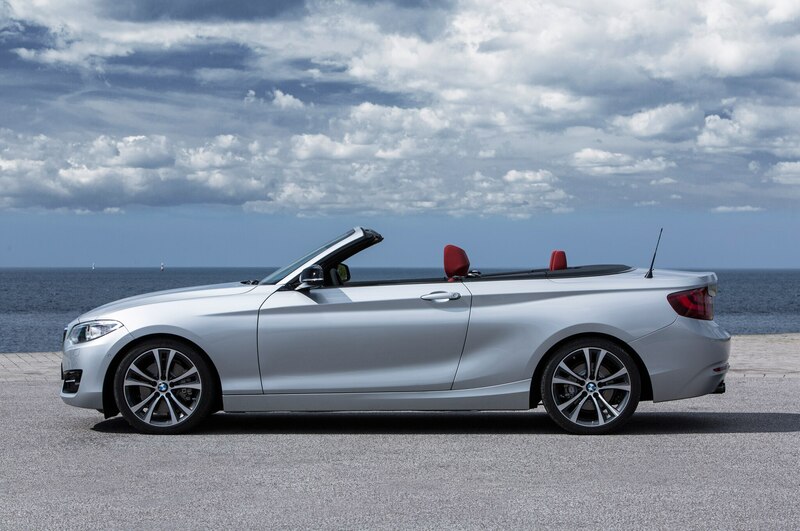 Just like the coupe, two models of the 2015 BMW 2 Series Convertible will be available: the 240-hp, four-cylinder 228i for $38,850 and the 320-hp, six-cylinder M235i for $48,650, both including destination. 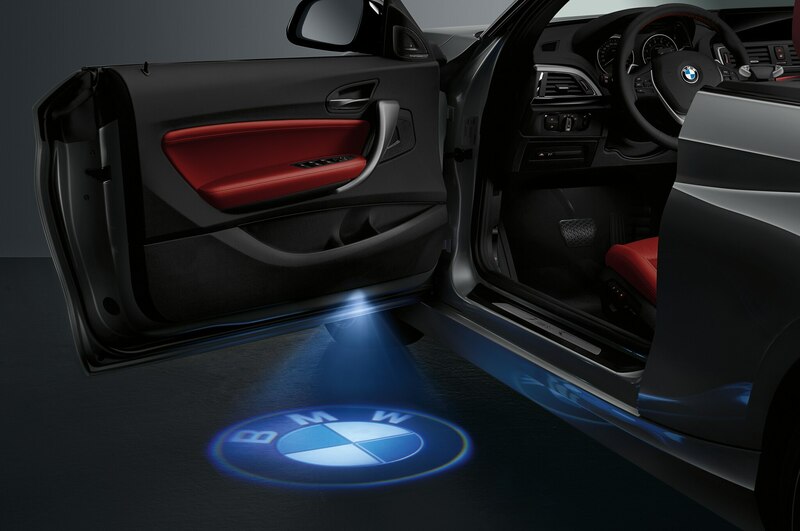 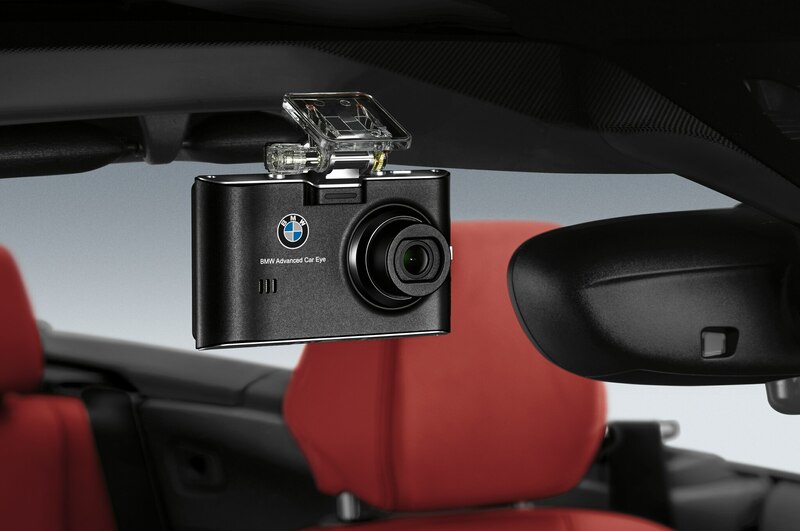 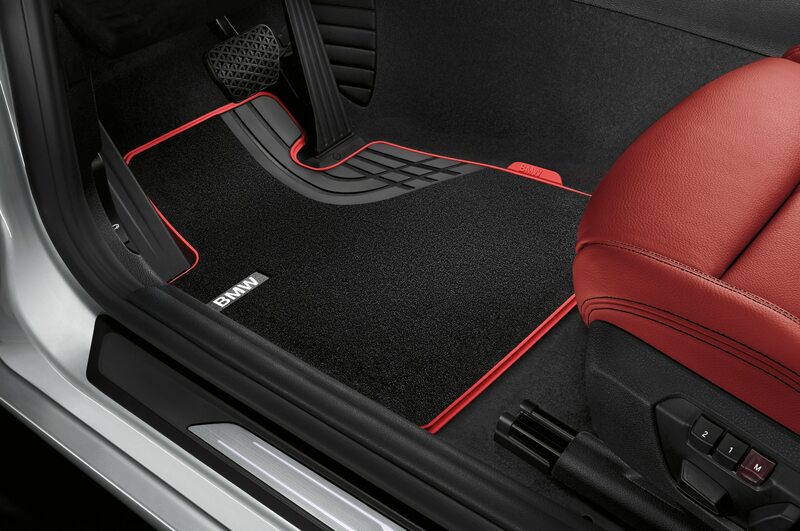 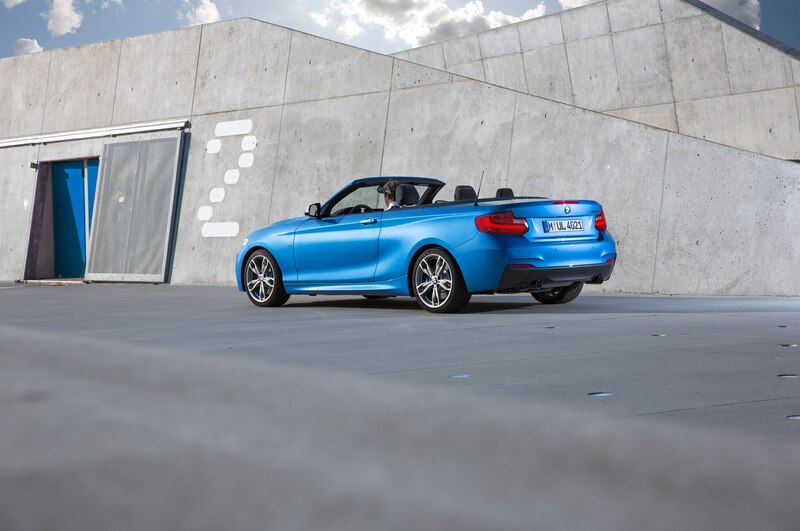 The addition of xDrive all-wheel drive to the 2 Series for 2015 also makes its way onto the 228i convertible, with this option costing $2000 extra. 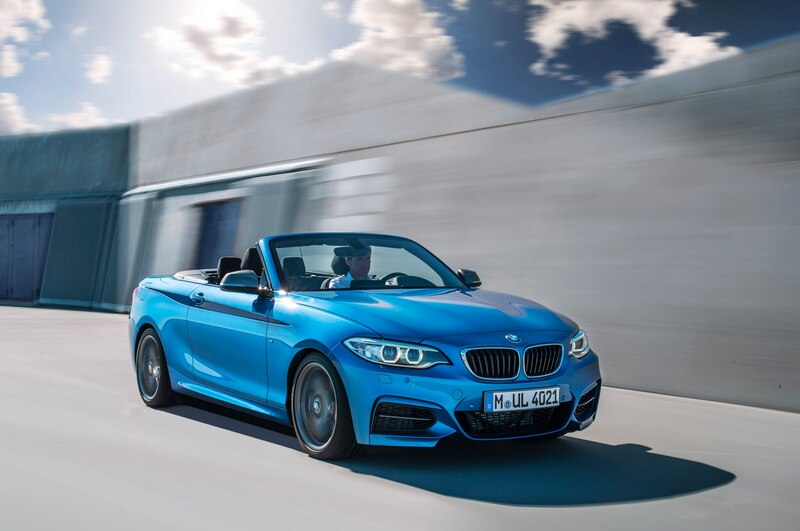 Powertrains are unchanged for the convertible, as the 228i’s 2.0-liter turbocharged four-cylinder and the M235i’s 3.0-liter turbocharged six-cylinder are both still available with either a six-speed manual or an eight-speed automatic transmission. 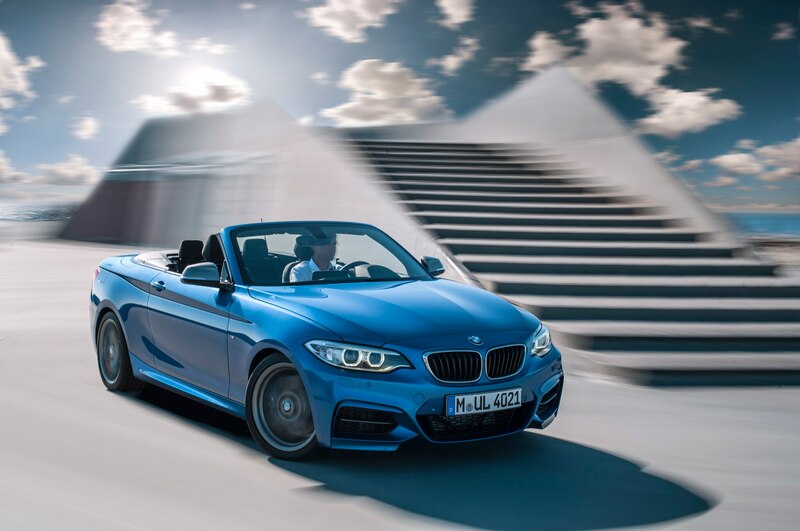 The same Track Handling package for the 228i coupe will also be offered for 228i convertibles, adding the M235i’s handling upgrades like an adaptive M suspension, larger wheels and tires, M sport brakes, and variable sport steering. 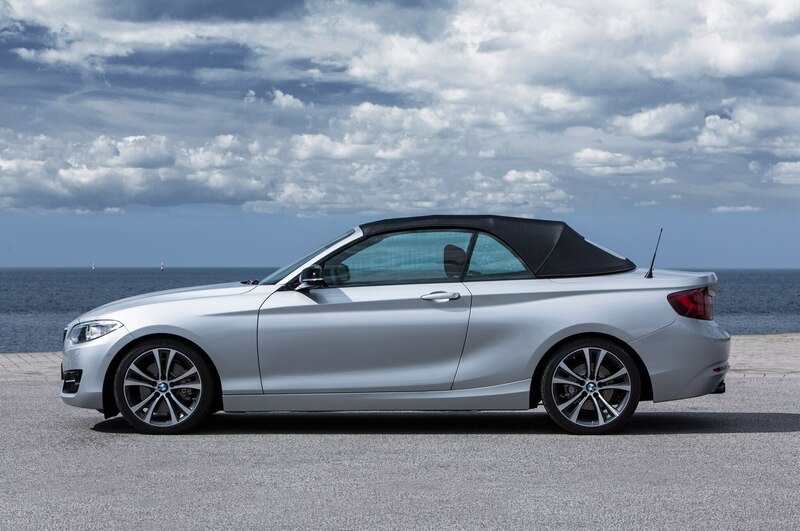 While the previous BMW 1 Series convertible was essentially in a segment of one, this new 2015 BMW 2 Series Convertible will have to face the new Audi A3 Cabriolet, which is set to come to the U.S. sometime next year. 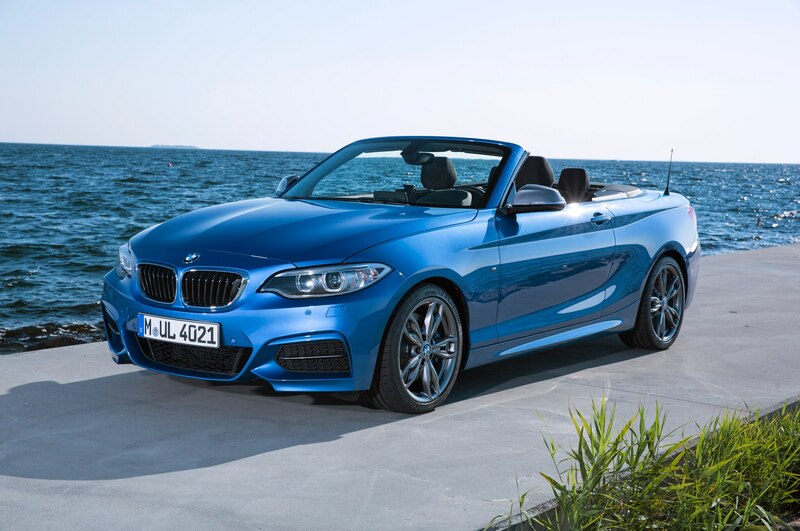 That model starts at a lower $36,495, but features a much less powerful 1.8-liter engine on the base model that only makes 170 hp. 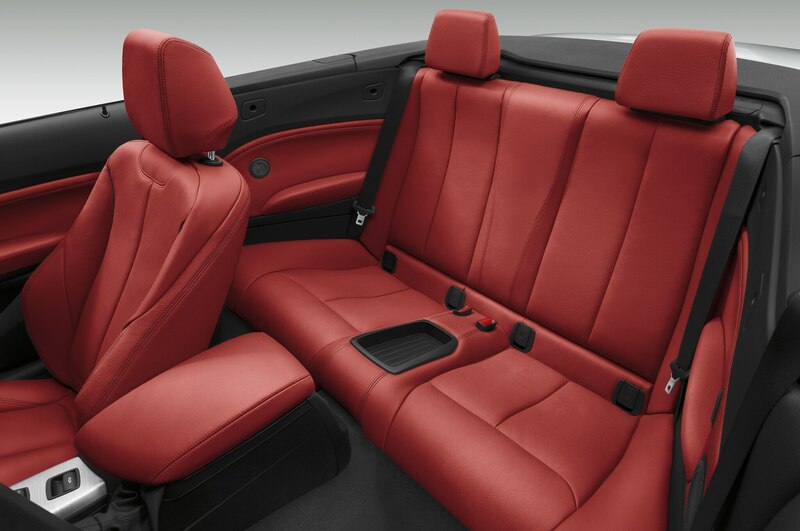 The more comparable Audi A3 2.0T Quattro starts at $39,495, barely undercutting the all-wheel-drive 228i xDrive which costs $40,850. 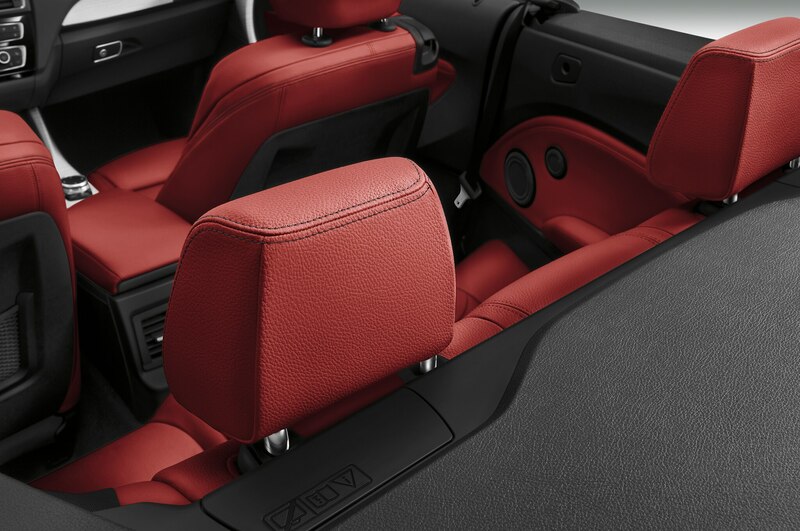 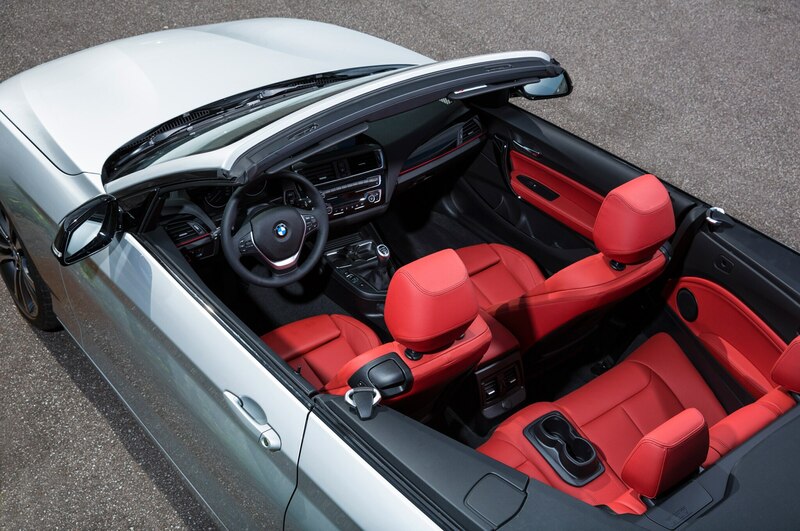 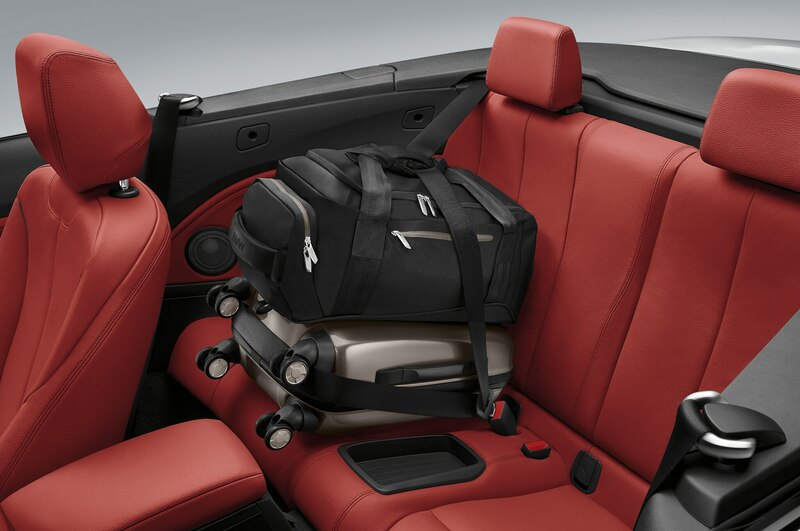 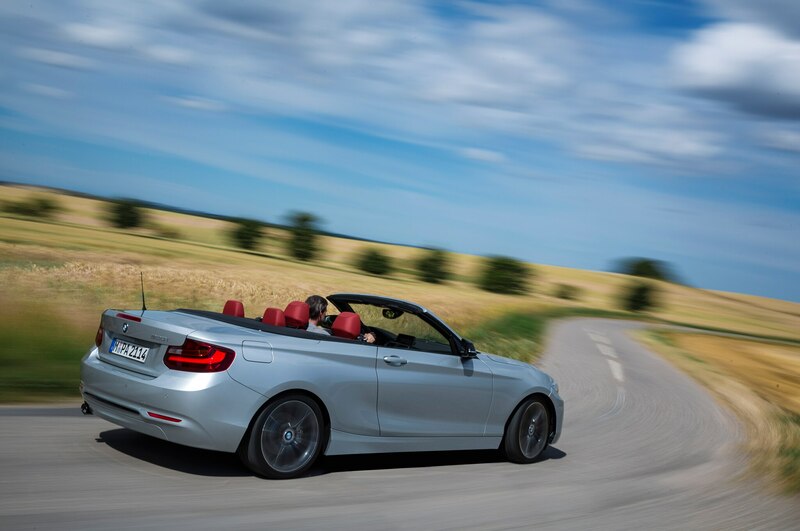 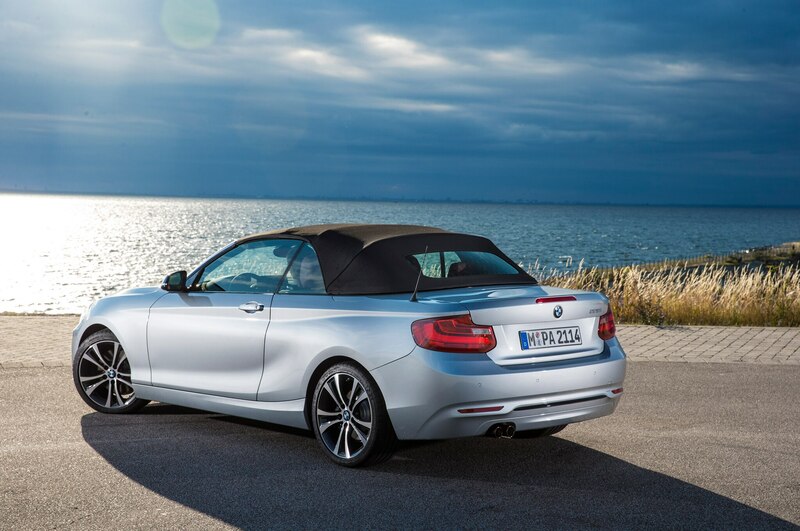 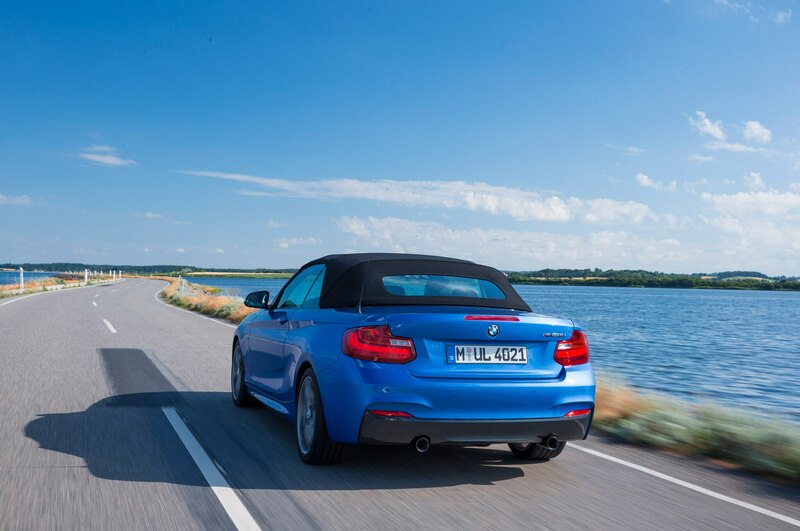 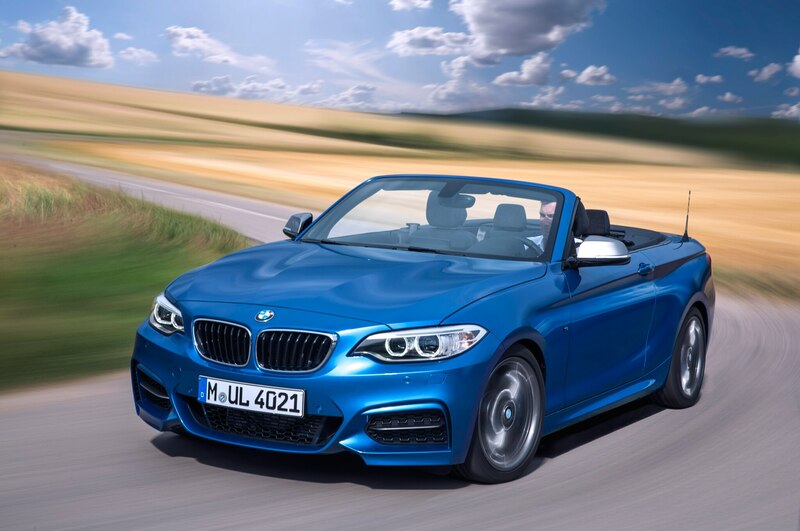 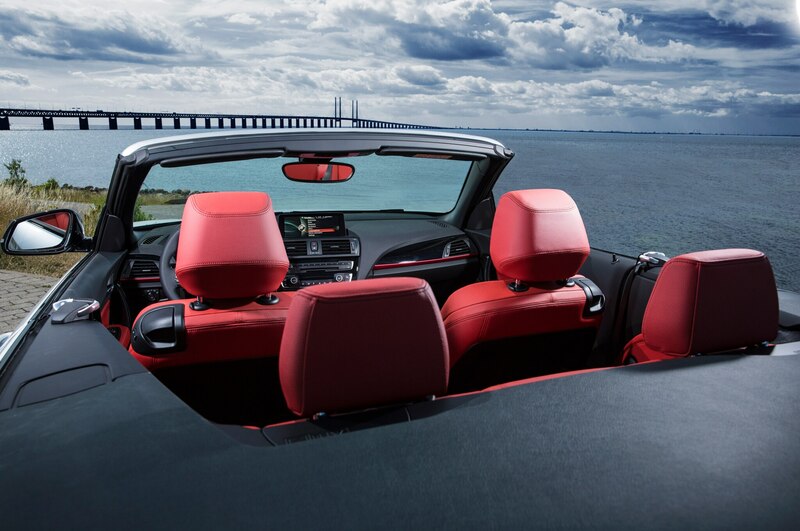 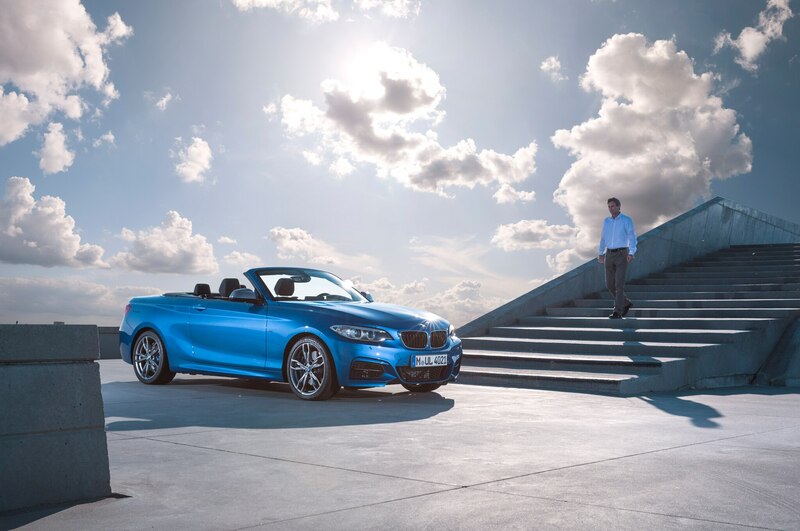 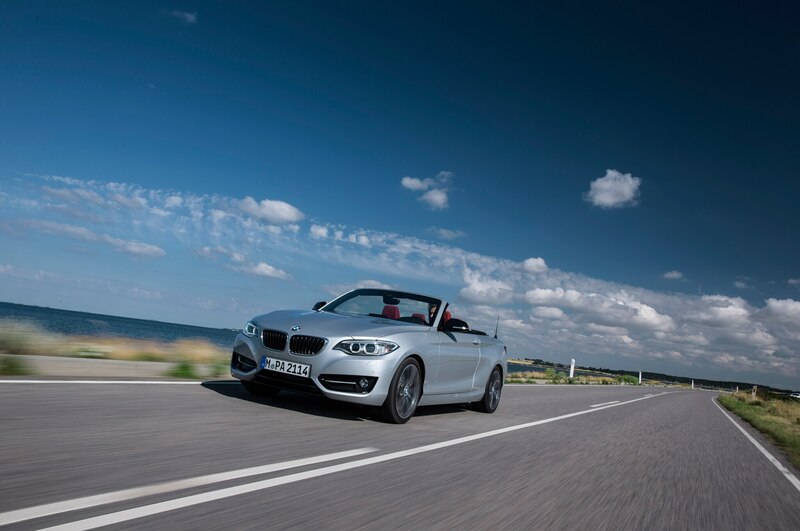 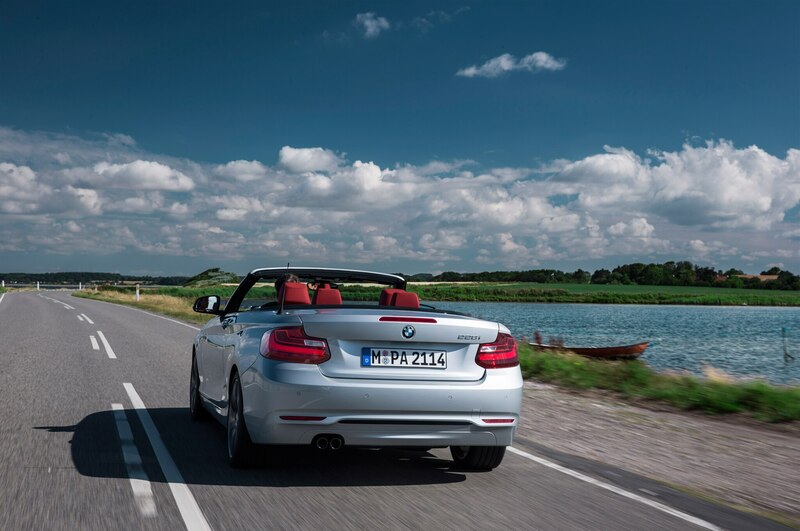 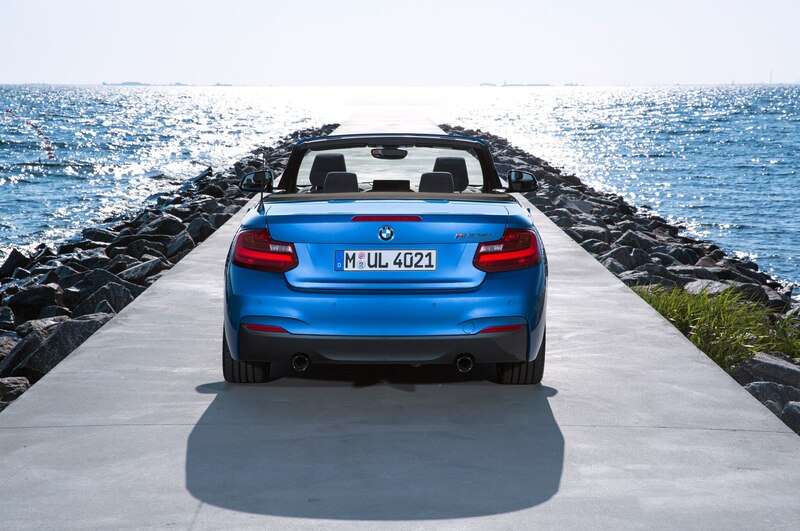 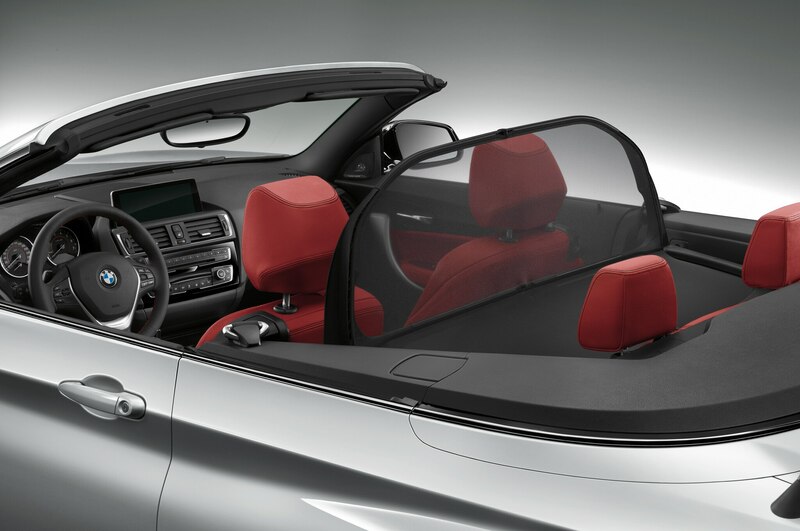 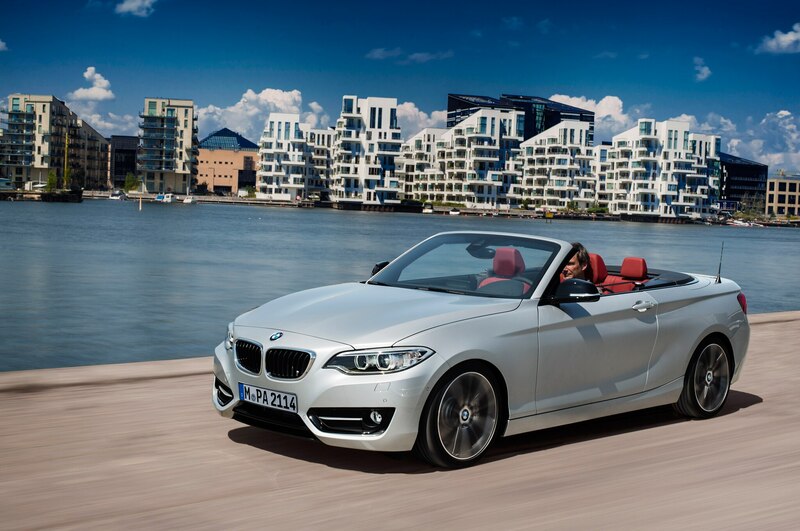 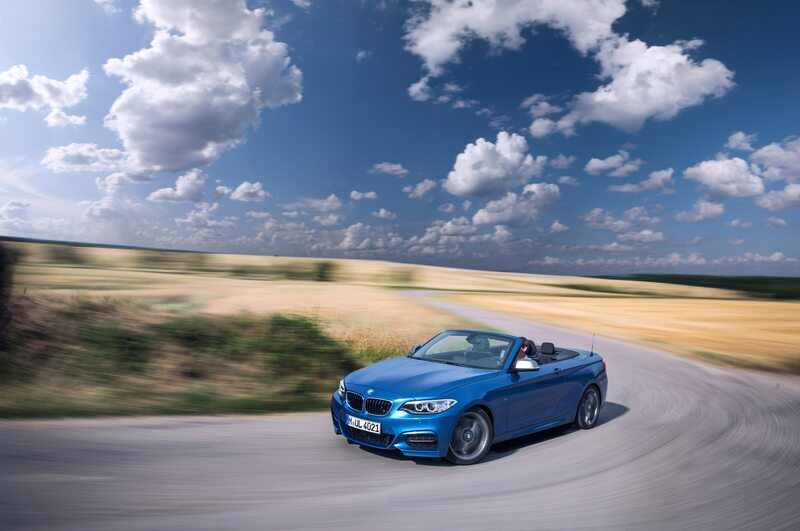 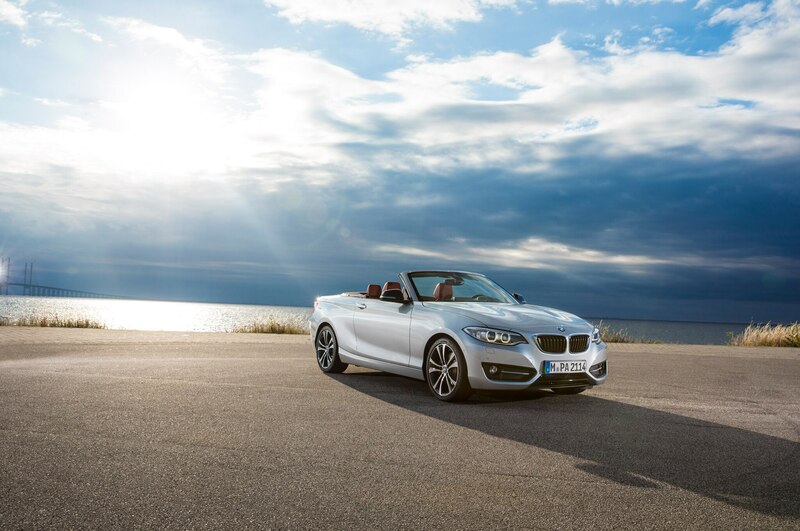 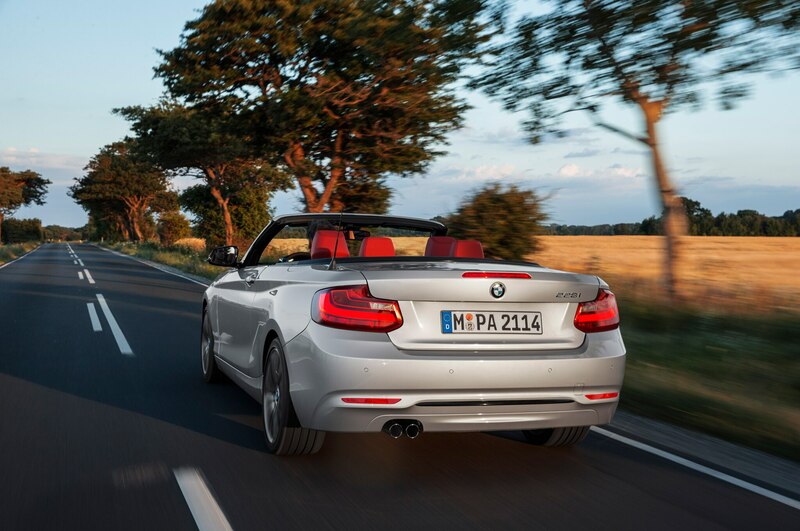 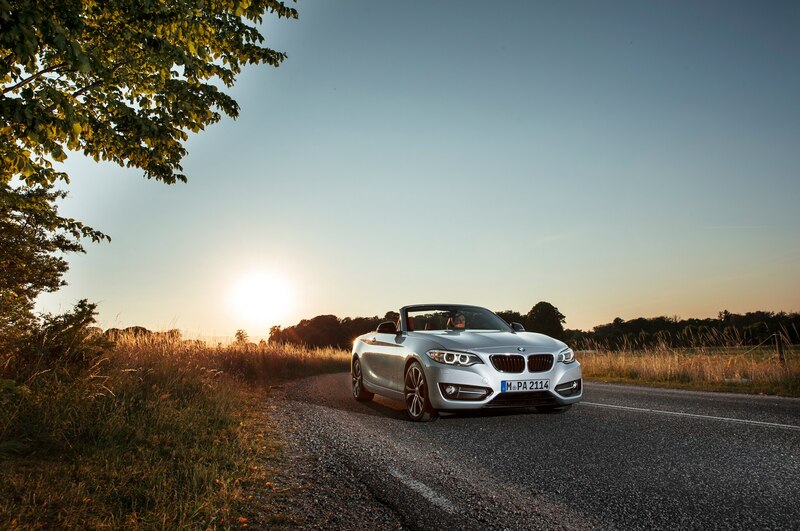 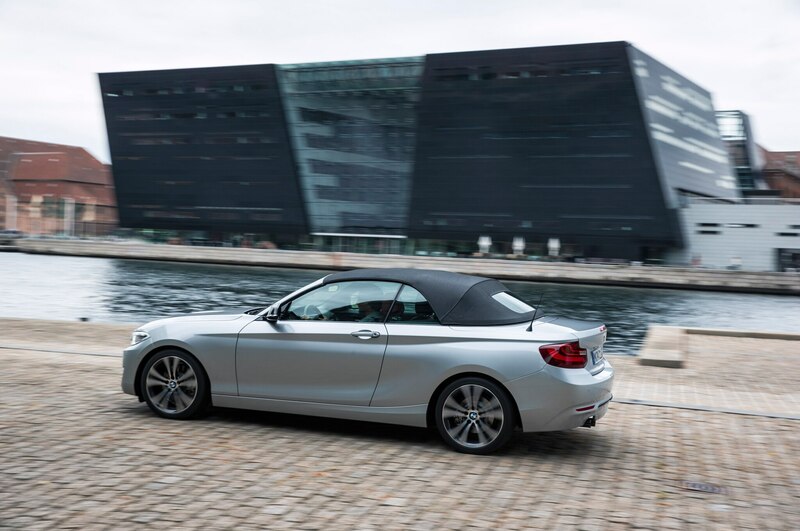 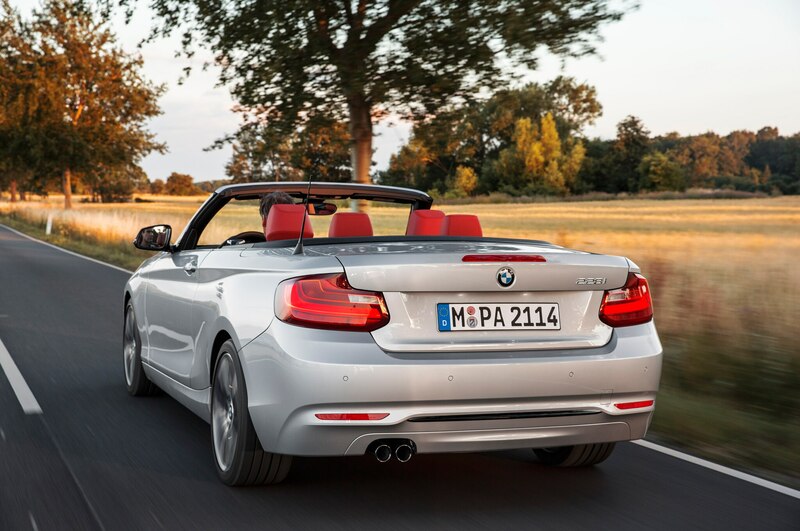 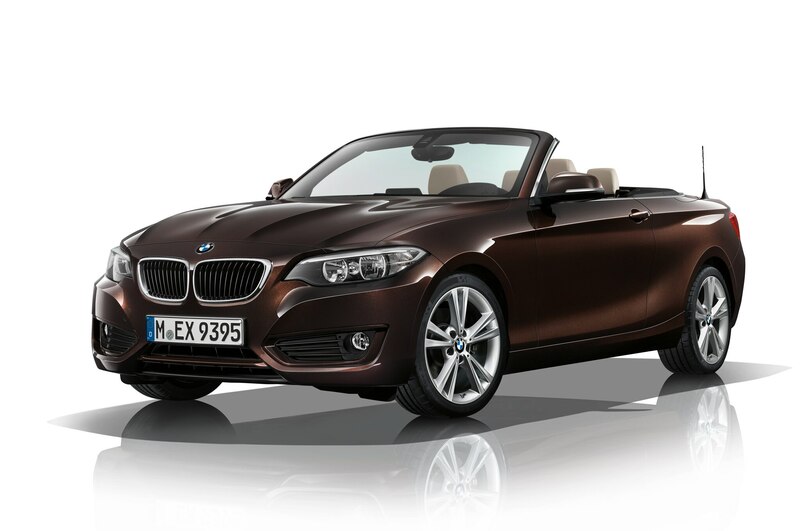 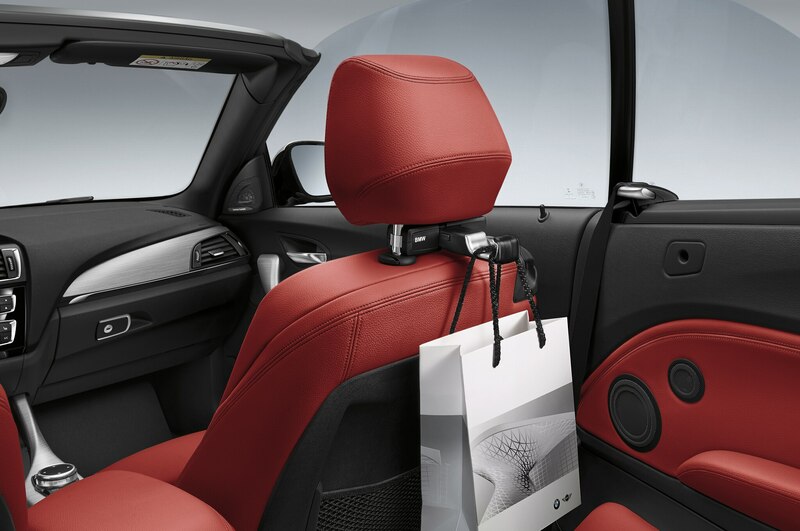 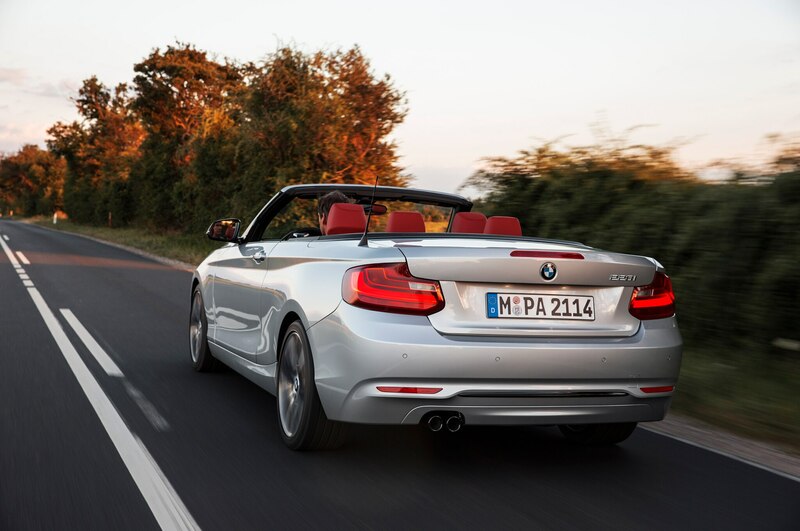 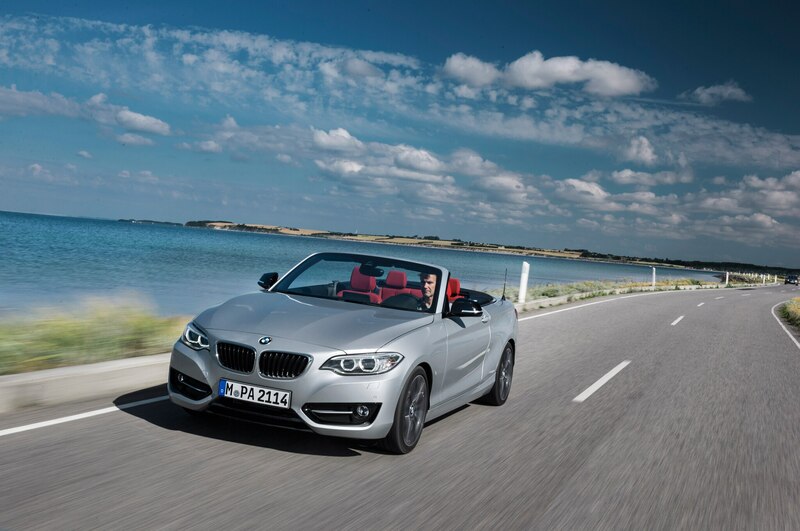 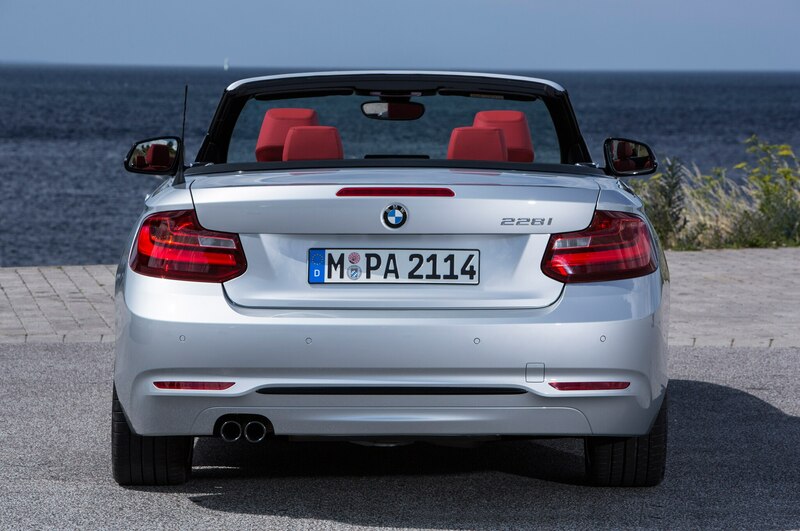 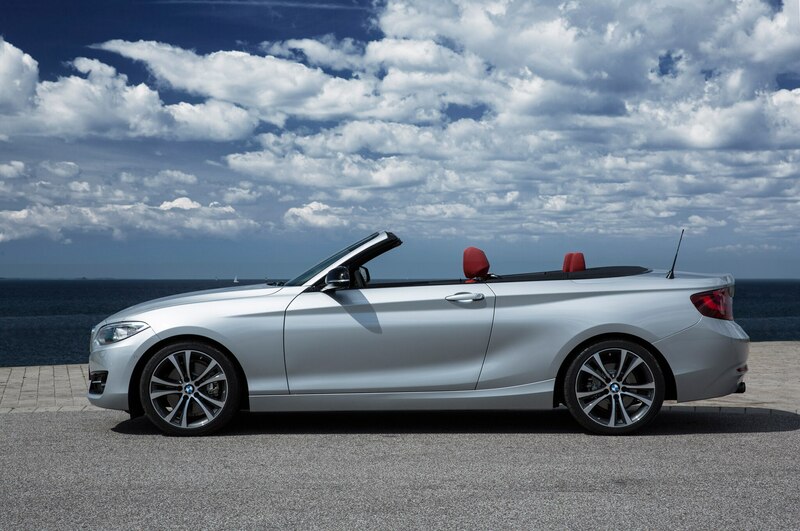 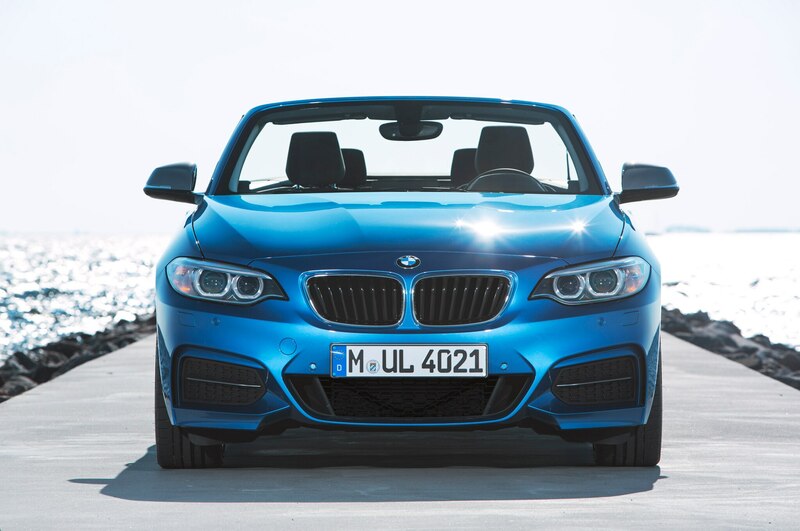 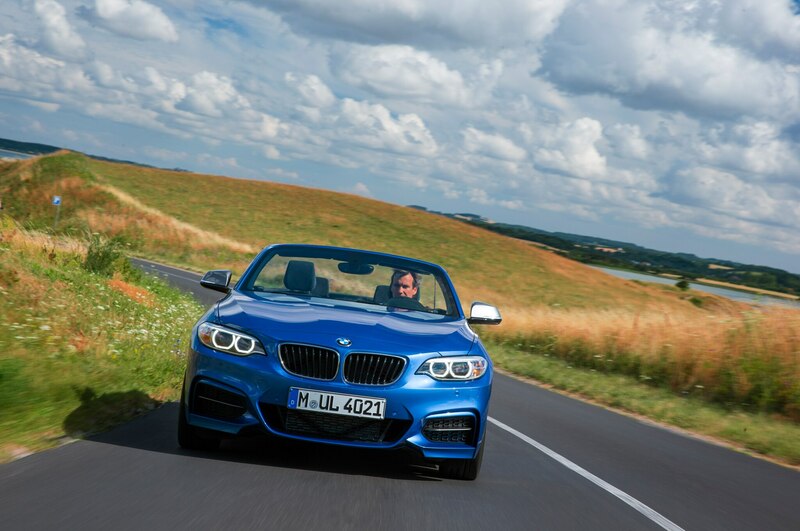 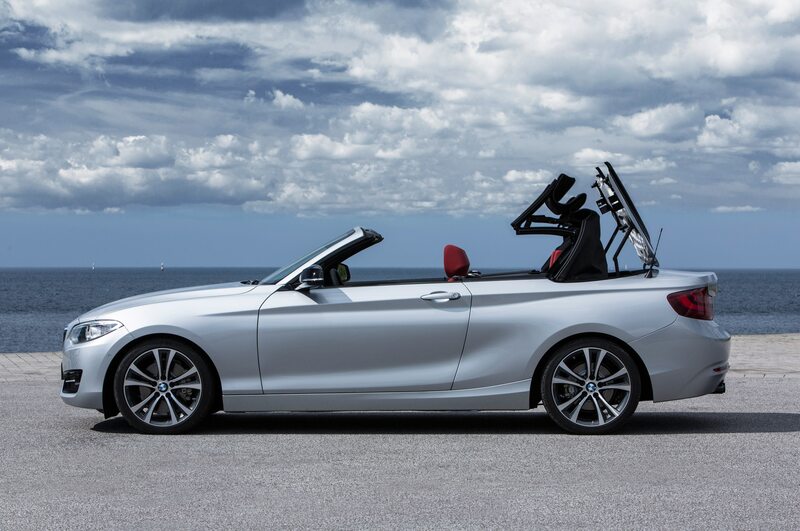 Stay tuned for the 2015 BMW 2 Series Convertible’s official debut at the 2014 Paris auto show, and check out the gallery in the meantime for full photos of this compact BMW droptop. 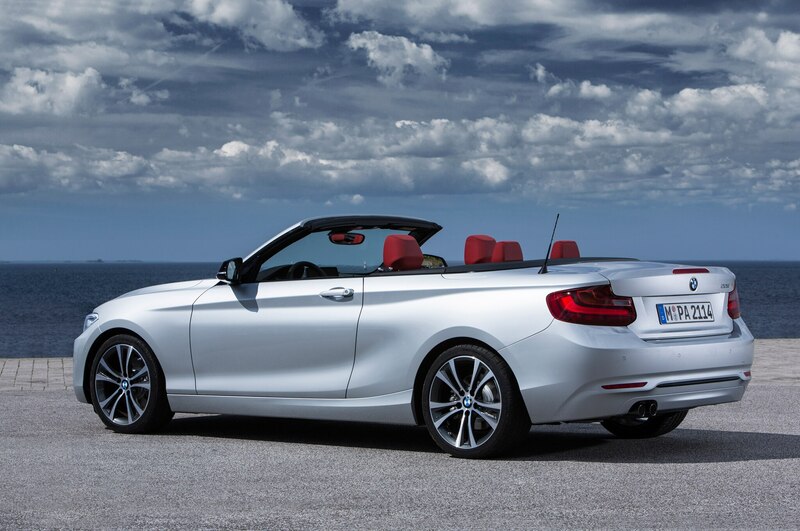 A rival for the Audi A3 and Mercedes CLA? 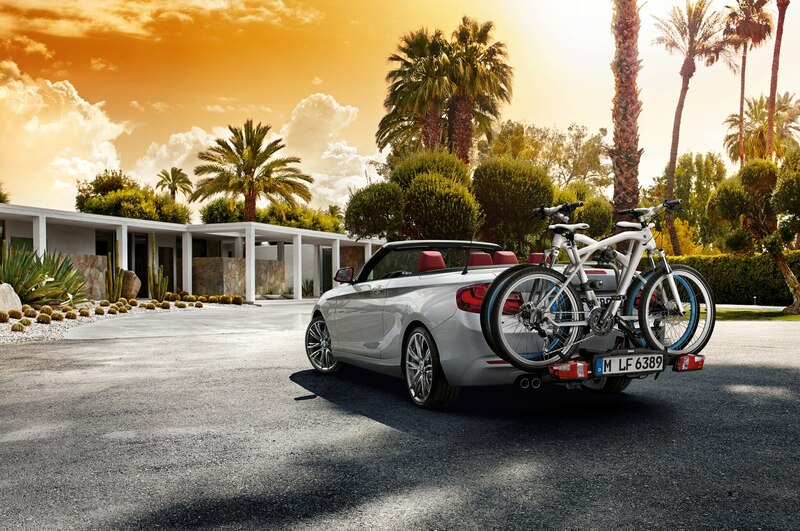 Displacement is just a number, right? 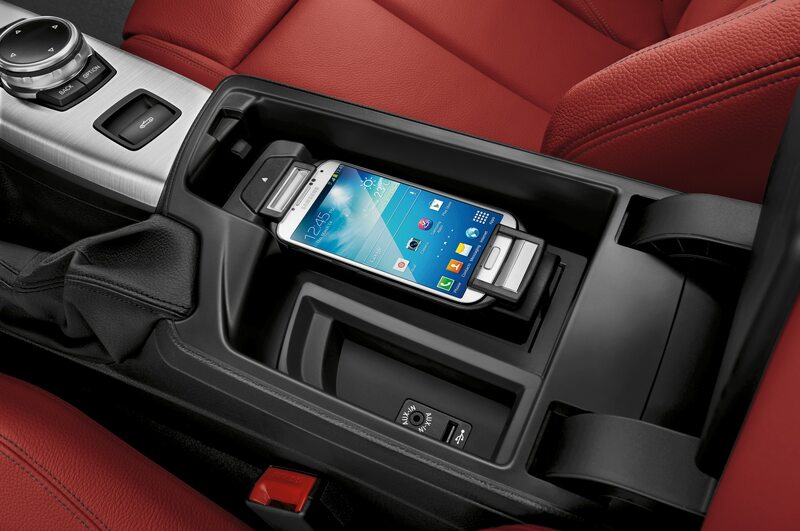 Giant car phone not included.